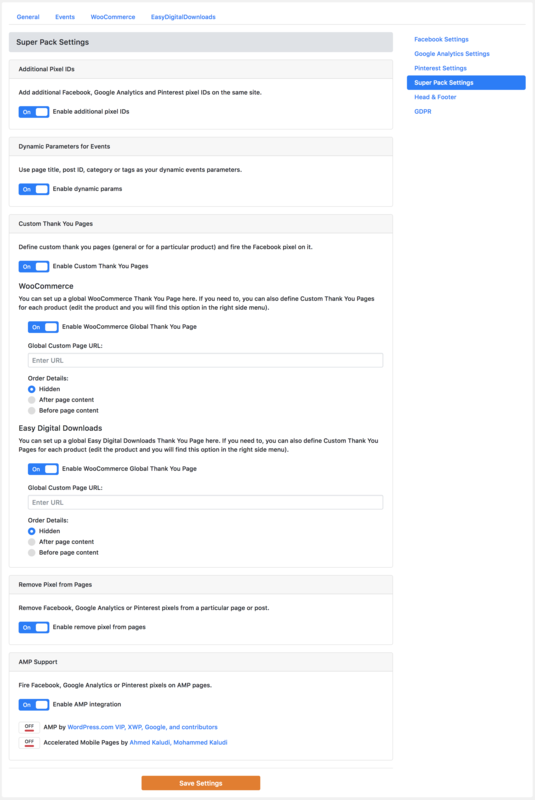 You can find the Super Pack settings inside PixelYourSite Pro right side menu. Click on the link and you will have the main settings page. From there you can turn ON or OFF each individual add-on, or you can configure global “thank you pages” for WooCommerce or Easy Digital Downloads. Once you’re done with your changes you need to click on the “Save Settings” button.